Usually technical meetings behind closed doors in Brussels are pretty dull. However, judging by some of the reports floating around, yesterday’s meeting of the EU Committee of Permanent Representatives (COREPER) may have bucked the trend somewhat. This is the negotiation forum for member states' EU ambassadors - the key guys involved in talks over EU policy. This is where a lot of decisions, de facto, are being made. As we noted in today’s press summary the UK was outright outvoted on the plans for capital requirements for banks (CRD IV), which entail the controversial caps on bankers' bonuses. However, though it was already clear that the UK had lost that particular battle, it was the talks over the EU's proposed, and in part agreed, banking union which caught our eye. EU ambassadors failed to reach agreement amid continued North-South divisions, but the reason why is interesting. Most media failed to pick up on this, but the WSJ Real Time Brussels blog rightly notes that Germany was strongly pushing for a clearer separation between the ECB's monetary duties and supervisory responsibilities, to avoid a running conflict of interest (see here). The only way this can really happen is to give the supervisory board the final say over supervisory decisions (as opposed to now when it rests with the ECB's Governing Council). This, in turn, requires EU treaty change. The Germans wanted a clear commitment from other member states that this would happen. According to the WSJ, Berlin also insisted on giving national parliaments (not just the European Parliament) the right to ask questions and get answers on supervisory policy, and giving states under the single supervisor along with the EP the power to remove the Vice Chairman of the supervisory body. A couple of interesting points there. This is an incredibly fluid target but those who say that Germany has 'gone off the idea' of Treaty change - in light of David Cameron's speech where he mentioned EU treaty change as an avenue for reform - clearly haven't quite appreciated the nature of the proposals floating around. Of course, Berlin won't be shouting it from the rooftops ahead of a national elections and with the relationship with France at an all time low (well almost), but in many of the Germans demand on eurozone governance is an implicit acknowledgement that something has to change in the EU's institutional framework (see our table here of the broad proposals being discussed [p.9]). The scope (limited or full treaty change), nature (EU treaty or inter-governmental) and timing will be discussed, but it will likely happen sooner or later. Two weeks ago, we noted on our blog that the Spanish Tax Agency had delayed around €5bn of tax refunds (due in December 2012) deferring payments to January 2013 instead. This contributed to Spain missing its EU-mandated 2012 deficit target (6.74% of GDP, instead of 6.3% of GDP). We wondered whether the sudden increase in tax refunds (up by 82.8% in January 2013 compared to previous year) would not lead the European Commission to start asking some question. Sure enough. The EU's statistics office Eurostat has asked Spain to raise its 2012 deficit to 6.98% arguing that Spain was not correctly accounting for tax refunds. Basically, Eurostat rules say tax refunds have to be counted towards the deficit when they are claimed by taxpayers. Spain only includes them when they are paid out. This means Spain will have to retroactively revise its deficit figures, going all the way back all to 1995. The difference for 2012 in itself is not huge. And Spain remains unlikely to face sanctions, as the European Commission has now shifted its focus to 'structural' deficit, but not inspiring confidence. 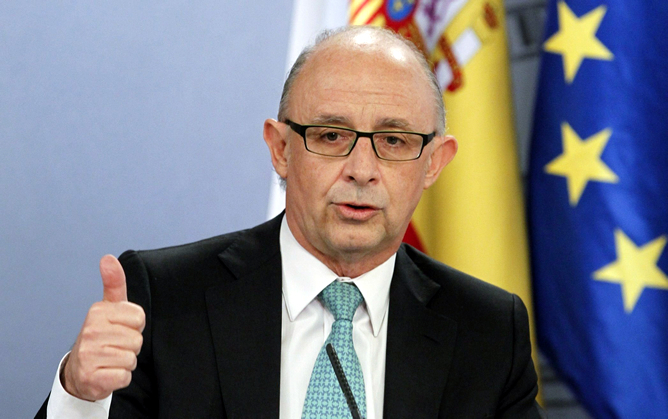 In an official note published yesterday, the Spanish Budget Ministry tried to blame Eurostat for the revision of the deficit figure, saying it was due to a methodological change "demanded by Eurostat over the past few days". "Eurostat hasn’t changed its methodology or its rules. It has simply found out that the methodology used by Spain was incorrect." "The [spending] pattern suddenly changed…when Spain moved to January 2013 certain payments due in December 2012." Eurostat will publish its final deficit figures on 22 April. Spanish Budget Minister Cristóbal Montoro said this month that, if anything, the 2012 deficit figure of 6.74% of GDP would have been revised downwards. He's been proved wrong once. He can only hope it doesn't happen again. First, there’s no hard data available yet for deposit withdrawals in March, so everything is based on anecdotal evidence. There have been numerous press reports speculating about withdrawals in the run up to the bailout and even while the banks have been closed. Unfortunately, these are unlikely to be confirmed or disproved for at least a month (when data is expected). Remember, there are limits on what people can withdraw and/or transfer electronically. People may not be too bothered about waiting at banks if they are subject to strict limits. Obviously, in this day and age, much banking is done electronically so the number of people at the actual bank branches may not reveal the true level of transactions taking place behind the scenes. This is particularly true for Cyprus given the high level of foreign depositors who would have to bank electronically. 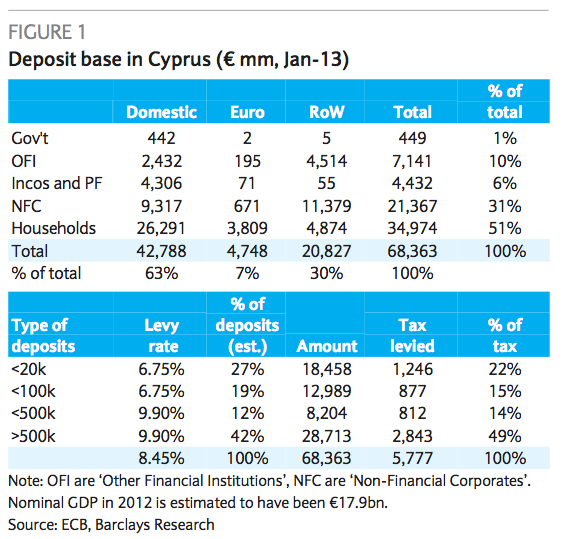 In the meantime the latest data on deposits in Cyprus in February was released this morning. Total deposits fell from €68.4bn to €67.5bn – a 1.3% fall, but not exactly as disastrous as some may have expected. At the same time, as we predicted, depositors elsewhere in Europe – in particular Spain and Italy – have so far shown zero inclination to see themselves as next in line. There has been, however, a drop in banks shares in the wake of comments by Eurogroup Chief Jeroen Dijsselbloem. So not the big collapse of everything that some expected, but, the capital controls are likely to play a role in mitigating this. As we have pointed out, the real challenge comes when the Cypriot government looks to remove capital controls and once the data on electronic transactions out of Cyprus becomes clearer. There were rumours of a further postponement until Good Friday, but Italy's centre-left leader Pier Luigi Bersani has confirmed he will meet President Giorgio Napolitano tomorrow and report on the outcome of coalition talks with other political parties. The truth is talks haven't gone particularly well. At the moment, Bersani doesn't seem to have the numbers to win a preliminary vote of confidence in the Italian Senate - absent which the new government wouldn't be allowed to enter office. Clearly, Bersani's failure to form a government would make snap elections more likely. But there is still some room left for negotiations. For the moment, we have tried to imagine the content of the meeting between Bersani and Napolitano (providing no eleventh-hour U-turns occur). This is fully possible, and it shouldn't be a big problem for Napolitano to give Bersani more time for a second round of talks. However, it is unclear how much an extension of talks would change if none of the big parties moves from its current position. Bersani's reasoning here would be that, when the time to vote the confidence to the new government comes, some Senators (mainly from the Five-Star Movement) would break ranks and back him. This is a huge gamble, though. At the moment, even assuming that Monti's Senators all vote the confidence to the new government, Bersani would still need at least 15 Senators to reach the minimum required majority of 160. As such, Napolitano may not want to run the risk - and here is why. When a new government is sworn in, it must win a vote of confidence in both houses of the Italian parliament within ten days from the oath before it can enter office. If it fails to do so, it stays on as caretaker while the Italian President decides what to do next. But Napolitano is quite keen to keep Monti as caretaker instead - so he will probably only agree to swear in a government which can realistically win the vote of confidence. A boring (but necessary) caveat before we move on to Scenario 3. It is possible for Italian Senators to leave the chamber before a vote, so that they are 'absent' when the roll is called. Absent Senators don't count, meaning that the required majority goes down. Now, Lega Nord leader Roberto Maroni has hinted at the possibility of his and Berlusconi's Senators leaving the chamber en bloc before the key confidence vote to a hypothetical new centre-left government - allowing Bersani to win the vote. Of course, Maroni made clear this could happen only if "certain conditions" were met - including an agreement to elect a man close to the centre-right as the next Italian President next month. 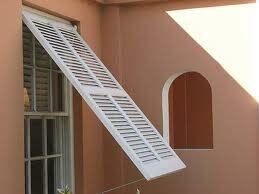 But this could potentially be a way out of the impasse. This wouldn't automatically mean new elections - which, in any case, can only be called by the new Italian President when he enters office in mid-May. Napolitano would have to start a new round of talks and then decide what to do. As we explained in previous blog posts, the most likely outcome would be the Italian President proposing a temporary 'national unity government'. The new cabinet would be led by someone from outside of 'traditional' party politics (the word 'technocrat' seems to have gone out of favour in Italy these days) - but the ministers could indeed come from political parties. It is unclear whether Berlusconi's party would grant its support, but this solution may have some chances of winning the Five-Star Movement's backing. This 'national unity government' would pursue a clearly limited agenda, and pave the way for early elections - perhaps as early as next year, but with a new electoral law. It's all very much up in the air in Italy at the moment, but in case of a definitive breakdown of talks everyone will suddenly be reminded of which country should be the eurozone's real concern. Will include limit on cashing cheques (but will be able to deposit cheques). Limit to cash transfers outside Cyprus of €3k per person per trip. Valid for 7 days from Thursday, will then be re-evaluated. The fact that they are focused on limited external flows rather than internal transactions could be positive as it may help avoid a massive liquidity crunch in Cyprus. That said there could still be a very quick withdrawal of funds from banks, with people keen to hold cash instead. This could further destabilise the banks. Removal in 7 days seems optimistic, for two reasons. Firstly, the bank restructuring and recapitalisation may not be completed by then. But more importantly, the fears which would motivate massive outflows go further than just the banks. People will look to move money out of Cyprus because the financial sector has been massively shrunk and no longer looks an attractive investment. Furthermore, the economy looks consigned to a long period of economic contraction and its debt load may quickly become unsustainable. Lastly political unrest may grow. None of these motivating factors will be gone in a week. The lack of limit on cash withdrawals is a positive, although this could quickly change, especially with demand for cash likely to sky rocket. Many companies still use cheques in Cyprus, not least to pay employees, so limiting them could hamper the normal functioning of business. That said, since they can be deposited, this is mitigated a bit, although that only holds as long as people trust that they can access deposits - not clear they do at this stage. According to this via Zerohedge, any commercial transaction above €500 which sends money abroad will need to be proven to be in line with usual business practice. This will introduce a significant amount of time consuming paper work into the life of many everyday exports and importers. We’ll update the blog with more thoughts as more details become clear. The tentative agreement between Cyprus and its creditors was only a day old when the different parties tried to shift the blame for the politically toxic levy on small insured bank deposits. German Finance Minister Wolfgang Schäuble kicked it all off by seeking to distance the German government from the decision by blaming the Cypriot government, the ECB and Commission, which in turn prompted a series of denials from everyone else. The suggestion was that it was actually the Cypriot government who opted to include small savers in order to avoid hitting wealthier depositors (mainly Russians) even harder. The blame game continued throughout the week. Monday 18th – Gazprom steps in with an alternative bailout? Following the acrimony over the agreement, it was reported that Russian energy giant Gazprom approached the Cypriot government the same weekend with an offer to fund the €10bn necessary to restructure the Cypriot banking sector in exchange for rights to Cypriot gas reserves. Although the story fitted in nicely with the geo-political tension narrative, it was quickly denied. Despite that, the rumours of a Russian bailout continued to be batted around for the entire week - none of which proved to be true. On Tuesday Cypriot Finance Minister Michalis Sarris flew out to Moscow to see if he could secure more favourable terms than those offered by the eurozone. While he was there, rumours began to fly around on twitter, seemingly substantiated by respectable news outlets like Kathimerini Cyprus, that he had resigned as he no longer enjoyed the confidence of President Nicos Anastasiades. Confusingly, further rumours began to circulate that Anastasiades had rejected his resignation. However Sarris later told Reuters that there was “no truth” to the original rumours. Originally scheduled for Monday, the Cypriot parliament’s vote on the deal negotiated by the eurozone finally took place on Tuesday evening after attempts at further postponement failed. The parliament voted overwhelmingly to reject the deal, with not a single MP voting in favour. Of course, the democratic vote is itself not the issue but it was farcical that the deal was pursued for four days before being put to a vote when it was clear it would need to be altered again. Not exactly effective crisis management, especially since the 'No' vote raised questions over Cyprus' place in the euro. Following the vote above, Cypriot officials sought to cobble together a ‘Plan B’ to keep their chances of a eurozone bailout alive. Options on the table included the creation of a solidarity fund securitised with social security fund reserves, state assets, Church property and expected natural gas revenues. However this was shot down immediately by the troika as it was feared that it would not lower Cypriot debt to sustainable levels. Adding to the farce, the WSJ reports that Sarris (still in Moscow at this point) wasn't returning calls from his eurozone peers. By Friday, the deposit levy was back on the table bringing negotiations full circle. Saturday 23rd – Russia to retaliate by freezing European assets? With it looking inevitable that Russian interests would be badly burned however the Cypriot bailout was finally structured, the Guardian reported that former Kremlin advisor Alexander Nekrassov warned that “Moscow will be looking for ways to punish the EU. There are a number of large German companies operating in Russia. You could possibly look at freezing assets or taxing assets”. As usual, this was later denied. The negotiations also saw severe strains developing between different members of the EU-ECB-IMF troika with the latter (with German support) allegedly resisting attempts by the Commission to water down Cyprus’ own €5.8bn contribution to the bailout. The FT cites an IMF official as saying that “The commission keeps trying to work with [Cypriot leaders], to help them put something on the table, even if that something doesn’t add up”, although another source adds that the two sides have “kissed and made up”. Unlike the non-resignation of the Cypriot Finance Minister, this really happened. Reuters cites a senior official as saying that this took place during a particularly heated exchange concerning the plans to restructure the country’s banking sector and the WSJ reports that at that point Anastasiades was calmly told by other leaders "to pack up and leave" if he wasn't ready to cooperate (he didn't). You’d have been forgiven for thinking that with a deal finally having been hammered out, the situation would have settled down a bit. 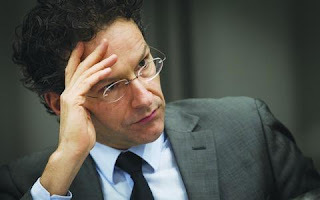 However, Eurogroup chief Joroen Dijsselbloem had other ideas, suggesting in an interview with Reuters and the FT that the Cypriot deal could become a template for any subsequent bailouts and bank restructuring in the eurozone. This saw markets around the world tumble for fear of further write-downs, particularly in Spain and Italy. Dijsselbloem then looked to row back from his comments reiterating that Cyprus was “specific” and that he was not even aware of the English word ‘template’ which had been widely attributed to him - although given this specific word was used by the interviewers we're not sure we entirely believe him. His comments got a mixed reaction - he was backed by the Commission and Finnish PM Jyrki Katainen - who said 'bail-ins' should be part of the eurozone's crisis management strategy - but ECB Executive Board member Benoit Coeure said that he had been "wrong" to suggest this. It was originally announced that Cypriot banks would re-open on Tuesday with the exception of the two biggest - Bank of Cyprus and Laiki -which would re-open on Thursday. However, later that day, Cypriot authorities changed their minds and announced that all banks would remain closed until Thursday (this was just the latest of the many extensions to the bank holiday and the numerous other delays throughout the week). Given that the final outcome of all of this was a plan which will likely slam the Cypriot economy and significantly reduce the standard of living (albeit while reducing moral hazard somewhat), it is hard to see the whole week other than an array of botched diplomacy and naive negotiations. Given all the Germany-bashing over the last week, in the wake of the Cyprus bailout deal (some of it completely ridiculous), it's easy to forget that the Germans themselves are remarkably united over the agreement. In fact, the feeling is that Germany, collectively, just got a fair bit more assertive over its eurozone policy. On Friday, before a new agreement was finally reached and with Cyprus’ euro membership on the line, German Chancellor Angela Merkel – reportedly in an angry mood - told MPs from her coalition parties that it was wrong for Cyprus to "test" Europe and that while she preferred to see to see Cyprus stay in the single currency but was prepared for an exit. "I wish that that the individuals at the highest levels of the EU including the President of the Commission and the President of the Council also display solidarity with us and defend the Germans against unjust accusations". “Politicians there have acted extremely irresponsibly. Now they are extremely brazen in their demands from those who have solidly managed their economies. Moreover, they insult those who are supposed to help them. Without German guarantees there would be no bailout fund. But of all things we Germans are being hit in the crisis countries not only criticism but even open hatred… If it was not an issue of Europe’s future, there would only be one appropriate response: deal with your own mess”. “Up until now, the bankrupt countries have been able to use fear of a domino effect to extort Europe. That is now over because the strong eurozone countries have the better hand – and they should not be afraid to play it”. 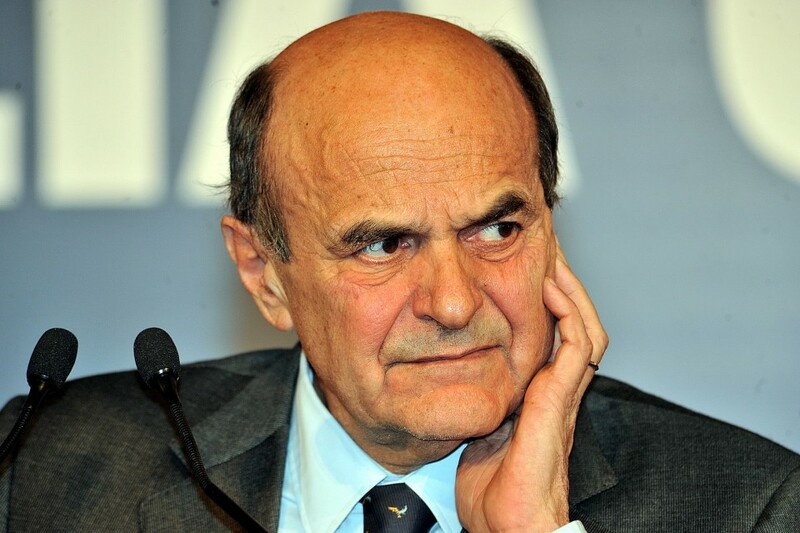 The leader of Italy's centre-left Democratic Party, Pier Luigi Bersani, is in an unenviable position right now. He has been asked by Italian President Giorgio Napolitano to go and meet pretty much everyone (trade unions, employers' associations, political parties) and see if he can get the support he needs to command a majority in Italy's hung Senate. Bersani will report back to Napolitano on Thursday, and is due to meet a delegation from Silvio Berlusconi's PdL party this afternoon. Berlusconi is playing the hand he has been dealt quite well, taking advantage of Beppe Grillo's refusal to cooperate. Il Cavaliere has already set his conditions for supporting a Bersani-led government: Angelino Alfano (the Secretary General of Berlusconi's party) should be the Deputy Prime Minister, and a man close to the centre-right should be elected as the next Italian President. Bersani is probably facing a 'once in a lifetime' opportunity to become Italian Prime Minister. He is already 61 (although age is not necessarily an obstacle in Italian politics), and if Italy were to return to the polls he would likely come under huge internal pressure to step down as party leader and give way to someone else. Remember Bersani was at the front of an electoral campaign during which his centre-left alliance squandered a double-digit lead in the polls in about two months. Florence Mayor Matteo Renzi seems to be the most obvious candidate to replace Bersani in case of new elections. More generally, Bersani's own party is already split on this specific issue - with a group of key members close to Renzi not hostile to cooperation with Berlusconi. Reggio Emilia Mayor Graziano Del Rio, for instance, told La Repubblica that if Italian President Giorgio Napolitano were to propose a 'national unity government' (which in Italian political jargon is also known as Governo del Presidente, the President's government), Berlusconi's and Bersani's parties should not be "picky" and should work together for the good of the country. Bersani can't afford to just ignore these voices if he wants to preserve his party's unity in the longer term. Italy's three largest trade unions - which have close ties with Bersani's party - have explicitly come out against new elections and urged Bersani to form a government "at any cost". 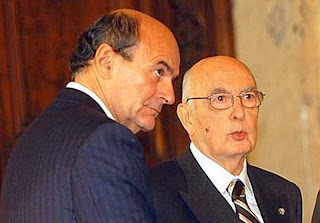 The situation remains extremely fluid, but if cooperation with Berlusconi were the only alternative to re-run elections, these are three reasons why we believe Bersani would at least think twice before sending Italians back to the polls. Everyone, including us, has commented at some point this week about how calmly markets have reacted to the situation in Cyprus. Cue Dutch Finance Minister Jeroen Dijsselbloem. "What we've done last night is what I call pushing back the risks…If there is a risk in a bank, our first question should be 'Okay, what are you in the bank going to do about that? What can you do to recapitalise yourself? '… If the bank can't do it, then we'll talk to the shareholders and the bondholders, we'll ask them to contribute in recapitalising the bank, and if necessary the uninsured deposit holders." "If we want to have a healthy, sound financial sector, the only way is to say, 'Look, there where you take on the risks, you must deal with them, and if you can't deal with them, then you shouldn't have taken them on’”. "Now we're going down the bail-in track and I'm pretty confident that the markets will see this as a sensible, very concentrated and direct approach instead of a more general approach". We’ve bolded the key quote. Essentially, he saying the Cyprus deal might be a template for other bank restructurings across the eurozone (although he seems to be trying to row back from this a bit). Now, we’re not saying we disagree with his points and we certainly agree with the sentiment of his comments – banks should be able to shoulder their own risks and if they can’t they should have plans for winding down and deleveraging. This is why we’ve long argued for things such as living wills for banks. Let’s be clear, banks should be responsible for their own risks. That said, if you go round telling markets all week that Cyprus is unique and specific and all year that a banking union is on its way with an ESM backed recap fund, they aren’t going to take kindly to abruptly finding out otherwise. It all just seems a bit strange and a bit clumsy - to put it mildly. Sometimes for better or worse, markets need to be handled with kid gloves. As we have said before, we never quite bought that Greece, Cyprus or anyone was entirely unique, though with Greece eurozone leaders definitely could have got away with it. Where does this leave plans for banking union and eurozone integration? We’re hesitant to say tatters, but it’s not looking great. What is proposed under 'Cameron's crackdown' on immigration - and is it compatible with EU law? In a keynote speech on immigration, David Cameron has today announced a host of new measures designed to curb EU and non-EU immigrants' access to welfare benefits. With transitional controls on Romania and Bulgaria lapsing at the end of the year, the political debate on EU free movement in the UK has threatened to boil over. 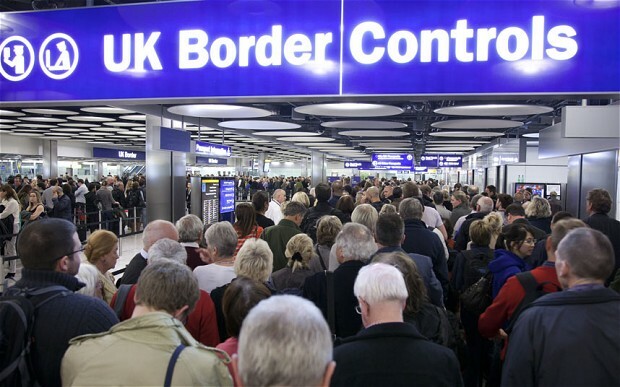 We have consistently emphasised the benefits of free movement but we do recognise that there are genuine concerns regarding the impact large-scale immigration can have on public services, the lower-skilled section of the labour market and particular communities. It is also clear that there is real public concern about access to welfare systems, given the UK's particular circumstances: a free health service and a number of non-contributory benefits. ...Government wants to stop the expectation that our health service is free to the entire world and we will take new steps to ensure the NHS can claim back money that is owed for NHS treatment provided to those not entitled to it. So this is addressing the so-called "pull factors". Now these are all things that the Government thinks it can do within the existing limits of EU free movement law - but the European Commission has already launched legal proceedings against the UK for its 'right to reside' test and you can count on the Commission to scrutinise any new proposals closely. The fact that so much of this is already considered possible begs the question of why the UK hasn't done it earlier. We are also going to take forward negotiations with European partners to explore whether we can make economically inactive migrants the responsibility of their home country before they gain any eligibility for UK benefits. And also whether we can work with like-minded European partners to limit the amount we pay in child benefit towards the upkeep of children living abroad. The UK is likely to find allies on these two issues among the Northern countries, such as Germany and the Netherlands, but whether there will be a majority in the EU to make these changes is unclear at this stage. As we have noted at length, the capital controls are a key part of the Cypriot deal and could have a huge bearing on how and when Cyprus recovers from this crisis. Unfortunately, as with almost all important eurozone decisions, this one lacks clarity. Some pretty mixed messages. The first suggests that “administrative measures” (which is widely being taken as capital controls or related measures) will be generally applied. Bruegel suggests that this may not even need to take the form of full capital controls and could be limited to measures slowing down the movement of capital. This is contradicted by the second point which suggests they will only apply to the Bank of Cyprus uninsured depositors. Barnier’s point is closer to the first point but suggests actual controls will be needed. FT Alphaville has an interesting run-down of the different type of capital controls and their implications. Paul Krugman makes the valid point that, if the trade-off of the single currency is reduced transaction costs in exchange for an overvalued currency, once capital controls are introduced, what is the motivation to stay inside? As he notes, wider points on the EU and access to ECB liquidity apply but it gets to the crux of the choice facing Cyprus. As we have suggested, we find it hard to imagine that the banks could survive long without capital controls, while the economy would likely take an even bigger hit. As we have mentioned, it would fall on the ECB to continue to sanction ELA to keep banks afloat during deposit outflows, but this would amount to a large transfer of risk towards the Cypriot Central Bank (and therefore the Cypriot state, and therefore the eurozone). Meanwhile, access to the ELA is limited by the ECB’s view of bank solvency (one they have shown they may not stretch indefinitely) and assets which can be posted as collateral. One thing that is for sure: this lack of clarity is certainly not helping an already messy situation. Could Cyprus leave the Eurozone but stay in the EU? Now, we're not necessarily saying that Cyprus should leave the eurozone. But with eurozone finance ministers set for a pretty long and rough night of talks, trying to reach a compromise that will allow Cyprus to live another day inside the eurozone, the question is, if it came to it (i.e. if a deal can't be agreed and ECB turns off the taps), could the country leave the euro but stay in the EU? As we note here and here, due to Cyprus' geopolitical importance, if it did ditch the Single Currency it would be vital that it stayed in the EU. Leaving aside the question of how Cyprus would be ring-fenced and given a reasonable chance of bouncing back with its own currency (a big one to leave aside admittedly), what would the legal and political mechanics look like? There is currently no mechanism for a country to leave the eurozone. However, there is a provision (article 50 TEU) that allows for a negotiated exit from the EU. This has lead some analysts to conclude that a country has to leave the EU if it left the euro. We disagree. As so often in the EU, this will come down to political negotiations. The below analysis is based on our paper from last year on a possible Greek euro exit (which, incidentally, we said was unlikely to happen in the short-term). The line of reasoning very much applies to Cyprus. Given the absence of a specific euro exit article, there are two ways in which a country can leave the Single Currency. Changing the EU treaties to allow for a euro exit mechanism, perhaps modelled around article 50 (possibly even simply extending the article to refer to a euro exit) or the idea – floated by German politicians – to automatically trigger an exit if a state is unwilling or unable to comply with the rules governing the single currency. This would require agreement amongst all 27 member states and would essentially be a treaty renegotiation (making it complex and long winded). 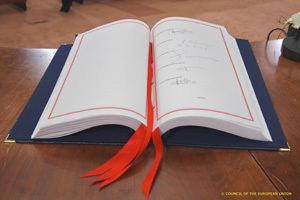 Using existing articles in the treaties which provide flexibility to address a number of issues, such as article 352, to legally facilitate withdrawal from the euro but not the EU. This would also require agreement amongst all 27 member states and the European Parliament. Per definition, a decision for Cyprus to leave the euro has to happen essentially overnight (some estimates have put the real time available at 46 hours). This is problematic as a treaty change could take months, even using the fastest track (the simplified revision procedure, which needs to go through at least some national parliaments). “If action by the Union should prove necessary, within the framework of the policies defined in the Treaties, to attain one of the objectives set out in the Treaties, and the Treaties have not provided the necessary powers, the Council, acting unanimously on a proposal from the Commission and after obtaining the consent of the European Parliament, shall adopt the appropriate measures." This article could be used to provide a legal temporary avenue for Cyprus to leave the euro within the framework of the EU treaties. This would be far from an easy process; there would likely be numerous legal challenges against the move, while the negotiations would be hazardous and subject to domestic political constraints. Precisely for this reason, a full treaty change would almost certainly be necessary very soon after the actual Cyprus exit (and use of article 352), which would change Cyprus status under the EU treaties from a euro member to a non-euro one and recognise, at least in retrospect, that there is a way for a country to leave the euro (under an expanded article 50 for example). Such a Treaty change would, at least in theory, go some way to counter some of the political uncertainty and legal ambiguity around the status of Cyprus’s EU membership and therefore reduce the risk of legal challenges. However, a full treaty change would come with its own set of political and legal complications. As with Article 352, a treaty change could only happen if all member states agreed. In addition, the changes would most likely have to be ratified in national parliaments. So far from straightforward, but still plausible. No matter how the nail-biting drama in Cyprus ends, the eurozone has never been this close to waving goodbye to a member. Yesterday afternoon the deputy leader of the ruling party claimed that his country was hours away from agreeing an emergency package of tax rises and spending cuts to secure the EU’s €10 billion rescue loan. If no deal is struck by Monday, the European Central Bank, on whose cash Cypriot banks depend, will pull the plug. With a banking sector seven times the size of GDP, Cyprus would default and probably crash out of the euro. The big question is whether a country can exit the euro without taking all Europe down. In the case of Cyprus the answer is straightforward: it could leave without causing a crisis, but it wouldn’t be pretty. For Cyprus it would be extremely messy. To avoid massive capital flight there would have to be strict controls on financial movements, with border guards ready to stop people taking cash out of the country. After that would come a decree establishing a new Cypriot currency and a series of defaults on foreign debt. This would probably all have to be done in a weekend to avoid panic and contagion. A new central bank in Nicosia would fire up the printing press, which could trigger inflation. Cyprus could limp on with the help of external cash, possibly from the EU and the IMF or Russia — but it would be painful. For the rest of Europe there is a fear that a Cypriot exit could bring down Greece, Portugal, Spain or Italy. There are three ways in which contagion can spread: direct losses for banks or governments elsewhere in the EU start a chain reaction; depositors in other countries panic and cause a bank run; or nervous international investors fearful of losing out to the “next Cyprus” push the cost of borrowing up for other indebted governments. But this is unlikely. Cyprus accounts for only 0.2 per cent of eurozone GDP, and vulnerable countries have little exposure to its economy. Greece would take a hit, but is already ring-fenced via EU bailout funds. Depositors in other countries have so far been unfazed by Cyprus’s troubles and even markets have been relatively calm. This suggests that Cyprus is a special, and financially marginal, case. In addition, the ECB’s promise to “do what’s necessary” to save the wider eurozone will provide extra reassurance to markets. Instead the risks of a Cyprus exit are mainly geopolitical. The fear is that Nicosia turns to Russia for aid in return for, say, a Russian naval base on the island. Given its location, this would be a strategic nightmare for Europe. To avoid such a scenario, it would be vital for Cyprus to stay in the EU, even if it left the euro. While life outside the EU may sound appealing to many Brits, it is different for a small open economy such as Cyprus. To complicate matters, EU treaties currently provide only a way to leave the EU (Article 50 of the Lisbon treaty), not the eurozone. However, the EU specialises in legal acrobatics and there are articles in EU treaties that can be used for all kinds of purposes. One such clause provides a general legal base to achieve the “objectives of the treaties”, which include protecting the EU itself. 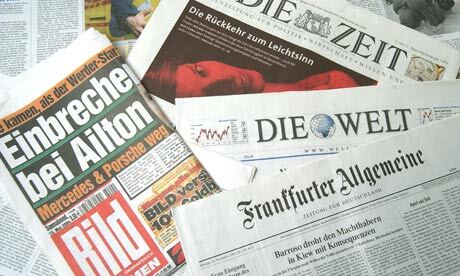 It will be wrapped in a cobweb of legal jargon, but will effectively come down to a political decision by EU leaders. And this is where it gets interesting for Britain. A Cypriot euro exit would have wide political ramifications: one of the founding principles of the EU — “ever closer union” — would be history. A swift, “Band-Aid” solution would almost most certainly have to be followed by a reworking of the EU treaties to recognise that the direction of travel is no longer only towards greater integration. The EU will have become a two-way street in which powers can be passed back to member states and its laws and institutions will have to reflect that. Even if Cyprus does not leave the euro — and a revised bailout deal remains the most likely outcome — this episode signals that Germany and the other northern European countries are no longer willing indefinitely to foot the bill alone. At the same time the eurozone continues to lack the tools to deal with an acute crisis. This makes change almost inevitable for the way the eurozone is governed. 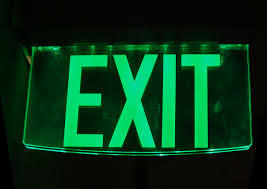 Some governments have already called for a formal mechanism to allow a country to exit the euro. Europe cannot, perpetually, move in only one direction. And, in one way or another, Cyprus may be about to prove that. It’s looking as if there will be a deal in Cyprus, although there are some big obstacles to be crossed to get there and it is likely to go down to the wire. Plan to wind down Laiki bank – good assets and insured deposits below €100,000 will be shifted into a good bank which will be merged with the Bank of Cyprus. Bad assets along with uninsured depositors above €100,000 will be put into a bad bank – these depositors could lose as much as 40% of their money. Ability to enforce capital controls – these are wide ranging from limiting non cash transfers to turning standard current account deposits into time fixed ones, and pretty much anything else the government deems as necessary for ‘public order and safety’. The creation of a solidarity fund – this will not play a large role in the bailout deal, since it was already rejected by the EU/IMF/ECB Troika as an alternative to the deposit levy. No deal on the bank deposit levy – Eurozone finance ministers will meet on Sunday in Brussels with the Cypriot parliament only likely to vote on a deal after it has been cleared at this meeting. Bank of Cyprus has survived being ‘resolved’ for now. 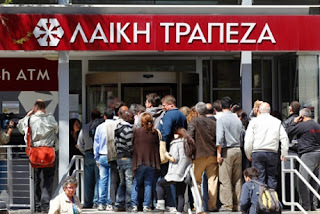 The Greek bank Piraeus will take control of the Greek parts of Laiki and Bank of Cyprus. These measures are expected to raise just over €2bn (maybe more, we’re waiting on firmed details on the solidarity fund). That still leaves €3.5bn+ to be raised to meet the €5.8bn target set by the Troika – although reports yesterday suggested this may have been raised by €0.9bn due to worsening forecasts for Cyprus. Below we outline our key takeaways from the deal. The largest obstacle to a deal remains: Clearly, this will once again come down to the deposit levy. With a smaller amount needing to be raised, it is likely to fall only on €100,000+ deposits. As we noted yesterday a levy of between 12% - 15% looks likely, although given the bank bailout plan it could hit some big Laiki depositors especially hard. Kathimerini reports that the levy could be pushed higher and focused on a smaller group of depositors. Ultimately, though, with few alternatives left now a levy on largest depositors seems the least destructive option (but still far from ideal). This will go down to the wire: The ECB has set a Monday deadline for a bailout deal or it will cut of liquidity to Cypriot banks. The banks are due to open on Tuesday but this could be extended if no deal is found. As long as the banks stay shut (and with use of the capital controls, see below) they may be able to buy a few days to reach a deal, allowing the ECB to reverse its decision. Still, it will be a messy few days with the Cypriot parliament unlikely to vote on the deal until the it is approved by the Eurozone and assured of passing. If the deposit levy is only on large deposits, it should gain support from DIKO (the junior coalition partner), while reports suggest some opposition members could abstain or be absent from the vote to allow it to pass. Still, this has been left very late and the decision to approve the above measures first seems to be putting the cart before the horse. This is not too surprising though (since clearly these were easier options to push through) and reminds us of other parts of the crisis – such as the decision to approve the ESM before the EFSF was revised to be fit for purpose. 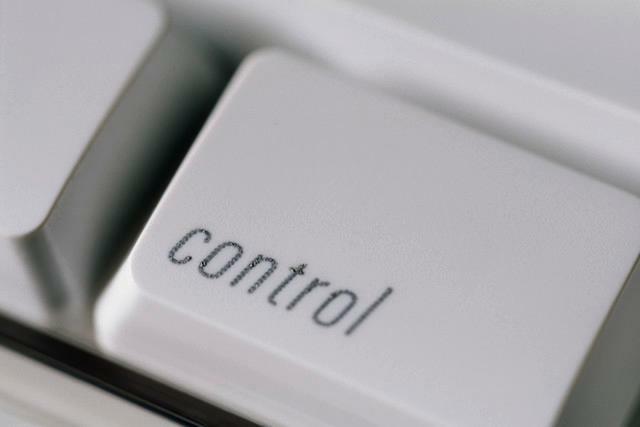 The capital controls are severe: The government has significant leeway to limit the flows of capital. People have rightly been asking questions of whether this, de facto, moves Cyprus out of the single currency. Ultimately, money is no longer fungible between Cyprus and the rest of the Eurozone and, at this point in time, it’s hard to argue that a euro in Cyprus is worth the same as a euro elsewhere. The real problem though may not be imposing the controls but removing them, as WSJ Heard on the Street points out. It is hard to see how the Cypriot economy will be able to function properly with these strict controls on and at some point questions will surely begin to be asked if it would not be better off with a devalued currency outside the euro. Why is Bank of Cyprus not being ‘resolved’? 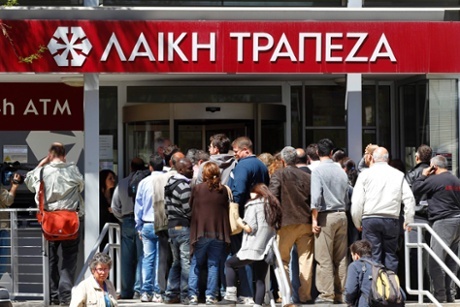 Reports suggest the Cypriot government has fought hard to stop the bank having the same fate as Laiki. This may be because it is the largest bank and a large employer in Cyprus, but it is could also be because it remains very close to the government and is the home for some of the largest Russian depositors. In any case, avoiding the tough decision to fully restructure the banking sector is likely to make things more difficult in the future. Greek banks are getting a very good deal: The branches of Cypriot banks in Greece have around €22bn in assets and account for 8% of all deposits in Greece and 10% of loans. Clearly they are sizeable and hiving them off helps reduce the size of the Cypriot banking sector relative to GDP and reduces the cost of the bailout. It also protects the rest of Greece from contagion. That said, Piraeus is picking up a very good deal, not least because Cypriot exposure to the Greek crisis was a key driver of the current problems Cyprus faces. The purchase was done at a symbolic €1 but the cost of recap is €1.5bn. Funding will come from the Hellenic Financial Stability Fund (the Greek bank recap fund) and the Cypriot bailout programme – €950m from the former and €550m from the latter. So these banks, investors and depositors avoid any losses despite many being entangled in the Greek crisis. The fact that Piraeus bank shares were rocketing yesterday is a clear enough sign of who did better out of this deal. The deal has come full circle and has been very poorly managed: as we noted yesterday, we are basically back to a mix of the deal proposed by the IMF (bank restructuring) and the Eurozone (deposit levy) last Friday. The impact the events of this week will have on Cyprus should not be underestimated – there will be a huge outflow of capital (or will be whenever the controls are removed) and significant political upheaval. This has been poorly handled by both sides – the Eurozone failed to listen to the Cypriot government and was complacent about the impact of Cyprus on the wider Eurozone economy. The Cypriot government has fought to hang onto an impossible business model, focused on big finance funded by foreign deposits, and has looked to play a risky geopolitical game. Unfortunately, the ones that lose from all this are the 800,000 people who live in Cyprus. 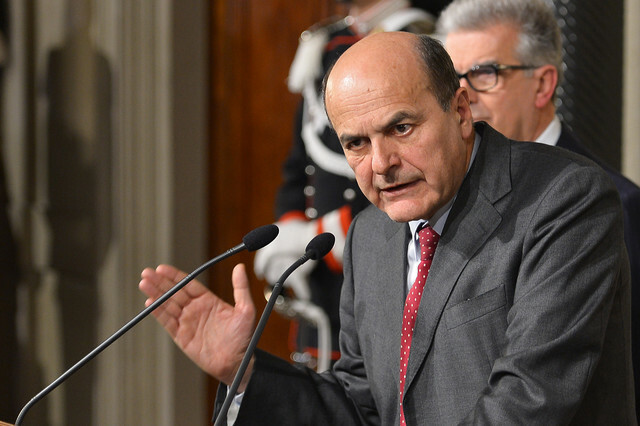 Italy: Will Bersani have any luck in forming the new government? While the spotlight has firmly been on Cyprus these last few days, over in Italy centre-left leader Pier Luigi Bersani has just been given a mandate to try and form the new government by President Giorgio Napolitano. Bersani has been explicitly asked to talk to other political leaders and report back to President Napolitano "as soon as possible" - we assume this will happen at some point next week. Basically, he will have to prove that his government would be supported by a majority in the Senate - the hung upper house of the Italian parliament - before he gets the definitive go-ahead. Bersani will try to convince the other parties to back his plan for a 'minority government', which would seek parliamentary support on a law-by-law basis. It's going to be difficult. Beppe Grillo's Five-Star Movement doesn't want to do business with anyone, while Silvio Berlusconi is clearly in favour of a proper 'grand coalition' with Bersani - as this could see his party getting several ministerial posts. However, President Napolitano himself has today acknowledged that a 'grand coalition' presents "relevant difficulties". If Bersani does not succeed, he will have to give up his mandate to the President - who will then have to task someone else with forming the new government. This person would probably be someone from outside of traditional politics - that is, someone capable of gathering cross-party parliamentary support as Mario Monti did in November 2011. As we've noted, incumbent Interior Minister Anna Maria Cancellieri and Senate speaker Pietro Grasso are the names doing the rounds in the Italian press. Failing this, the only option left would be new elections. A slightly untimely outcome, given what's happening in Cyprus (think market pressure). In the meantime, Mario Monti stays on as caretaker Prime Minister - he will leave office only after the new cabinet is sworn in. Keep following us on Twitter @OpenEurope and @LondonerVince to stay on top of events in Italy (and beyond). Thinking about the plan in more detail, it occurred to us that this may amount to trying to burn the larger depositors twice. As we noted in today's press summary, the plan essentially is to move all the bad assets to a bad bank, along with the large uninsured depositors (€100,000+). These assets would then be wound down or sold off at a large discount with the depositors footing the bill (and taking losses of 20% - 40%). This, along with the merging of Bank of Cyprus and the good bank, is how the recapitalisation costs will be reduced by €2.3bn. So, the large depositors will take significant losses here and yet may still face a large deposit tax as well? That seems to be pushing the boundaries to us, although it is not impossible. Cyprus would not recover as destination for foreign investment for some time. One way to structure this could be for the tax only to be applied to depositors above €500,000 (as we suggest below) and the bad bank to apply to all uninsured deposits. Obviously, the bad bank scheme also only applies to Laiki bank, but as the second largest Cypriot bank it is still likely to account for a large amount of big deposits. It now seems we have come all the way back round to the deposit levy as a solution in Cyprus. Overnight, the EU/IMF/ECB Troika rejected the plans for a Cypriot solidarity fund, particularly one based on pension assets and gas reserve revenues (which German Chancellor Angela Merkel specifically spoke out against). The bank restructuring plan does seem to be holding water for now, so this has at least reduced the money Cyprus needs to raise by €2.3bn. Unfortunately, though, that still leaves €3.5bn to be found. As we noted a week ago, there are few options for doing it – and it slightly worries us that Cyprus and the eurozone are only just realising this. Going from these figures, a 12.2% tax on deposits above €500,000 would yield the €3.5bn necessary. A 9.46% tax would also be sufficient if applied to all depositors over €100,000. Either of these options would probably be acceptable to the Cypriot parliament. Sources suggest that the Democratic Party (DIKO, Cypriot President Anastasiades's junior coalition partner) has indicated its support for such proposals, which would bring the government up to 28 votes – so potentially needing only one more. There are plenty of pitfalls left, but we may get a vote this evening. That said, noises from the Troika earlier suggested they could take the weekend to review the bank restructuring deal. The Cyprus Solidarity Fund and bank restructuring - what's the latest? Is this Plan B or Plan C? We’ve lost track. Maybe Plan B+. Anyway, it seems that the Cypriot parliament is currently discussing the proposal for a ‘solidarity fund’ which the cabinet has reportedly unanimously approved. This idea originated yesterday and was rejected by the troika overnight – we assume (hope) that this version of the fund contains some additional proposals to smooth over the previous disagreements. What is the solidarity fund and what does it include (click to enlarge)? The solidarity fund is essentially an investment fund or sovereign wealth fund which will pool a series of assets to help provide the €5.8bn in cash required by the Cypriot government to agree the bailout. This is a broad list (we have assessed many of the measures already) and not all of them are likely to be included. Now, clearly, some of these assets are liquid and can provide a cash flow, while others are not. It has been suggested that this fund will be used to purchase government debt in order to fully monetise the assets and boost government coffers. This seems strange to us since it would only succeed in worsening Cyprus’ debt level. It is also very likely to be rejected by the Troika for just that reason. We also don’t necessarily see the benefit of extending the Russian loan. It helps from a cash flow sense, interest payments are cut by 2.5% and repayment is delayed by five years. But in the end Cyprus will end up paying €160m more. The Troika usually frowns on this type of approach. CDU MP Hans Michelbach has also raised questions over the fund and specifically suggested it falls around €1bn short of providing the €5.8bn needed. The Cypriot Central Bank just announced that the second largest bank in Cyprus, Laiki Bank (or Cyprus Popular Bank), will be restructured and separated into a good and bad bank. This had been rumoured throughout the afternoon and sparked long queues at cash machines particularly Laiki ones, while the protests outside the Cypriot parliament have swelled with nervous Laiki bank workers and customers. The level of withdrawals has also been restricted to €260, while (somewhat ironically) the Central Bank has confirmed all depositors up to €100,000 will be guaranteed - no word on those above (see below). This seems a reasonable move and could save between €1bn and €2bn on bank recap costs but problems abound. The cost of financing and winding down the bad bank will be large, who will finance it? Some reports suggest it could be the uninsured depositors – this may work but is likely to cause outcry amongst foreign investors and some Cypriot businesses. The bill on bank restructuring is in front of the parliament now, along with a bill on the solidarity fund and a bill which includes some form of capital controls. It seems that the restructuring bill and the capital controls bill has support from the eurozone, but it is not clear that the solidarity fund does or the plans to fund the bank recap (as @SpiegelPeter notes). The eurogroup will hold a call on this proposal at 6pm GMT, with a statement due after. It is not clear if a vote will take place on it tonight in the Cypriot parliament, but we imagine they will at least need to wait for approval of the eurogroup. How might a revised Cypriot bailout deal look? Is Spain using accounting tricks? Is Beppe Grillo forcing Italy to new elections?